The Natural Dog School welcomes all dogs, for behaviour training, agility, and gradual puppy development. We specialise with training for dogs that struggle elsewhere and can offer a haven from which you can explore their potential. The innovative techniques used are very different to mainstream training and can achieve results where others fail. Whether you want to teach a reliable recall, scramble around the agility course, or raise your puppy calmly, you can discover how here at the Natural Dog School. 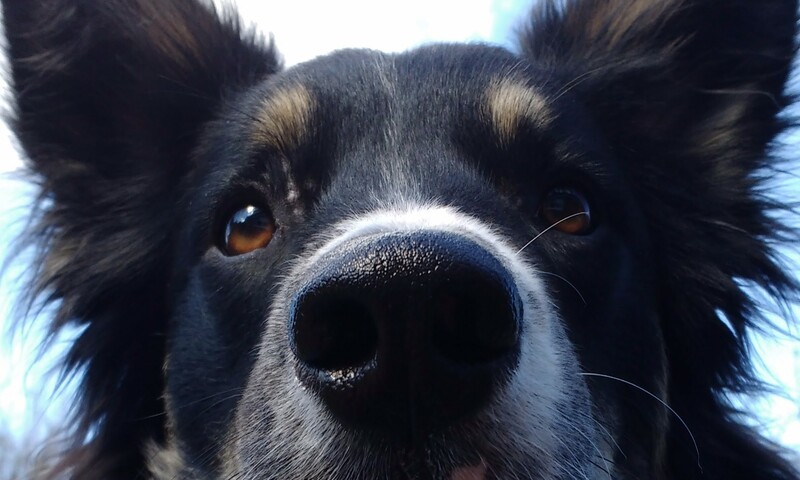 It is the ideal place to master the techniques that reliably channel your dog’s enthusiasm, leaving them emotionally grounded, calm and stable. Our goal is to help you work together by providing a safe venue to practise the foundation skills. What is Natural Dog Training? The training is based on Natural Dog Training and works with a dog’s energy, helping them feel in control of their world. The exercises are not behaviours for the dog to learn, but specific skills practised to develop the temperament. As their sense of composure and resilience grows they become steadier and more at ease. 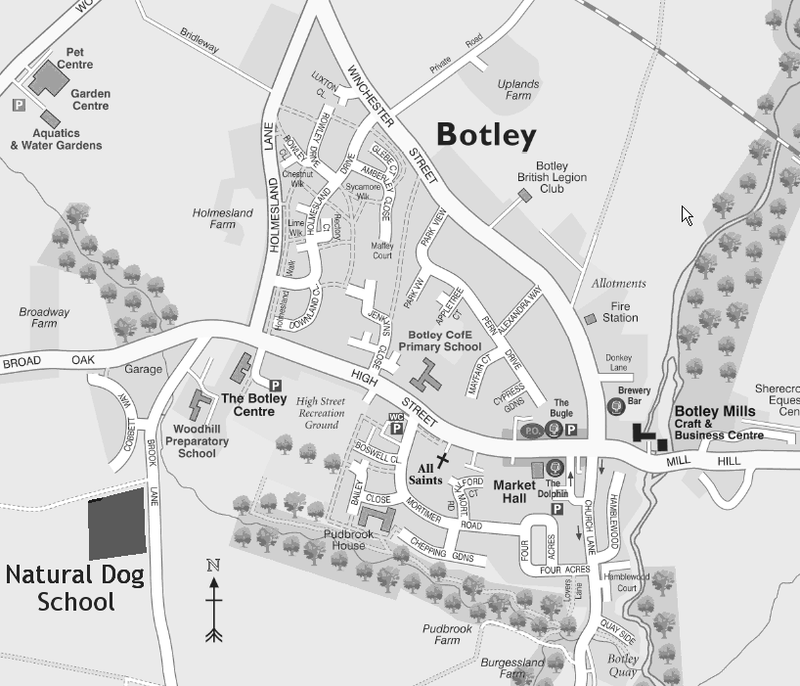 It is very easy to find us, the gate to the field is along a track, the second right turn off Brook Lane in Botley. Follow the signs to Botley, and then just after you pass Sparshatts Car Showroom turn right into Brook Lane. After driving through Botley, you’ll pass the church and the recreation grounds, both on your left. Turn left into Brook Lane at Woodhill Prep School.